I still remember Intel launched the 1st Core i7 platform in Nov 2008 to depart from Core 2 Duo structure. 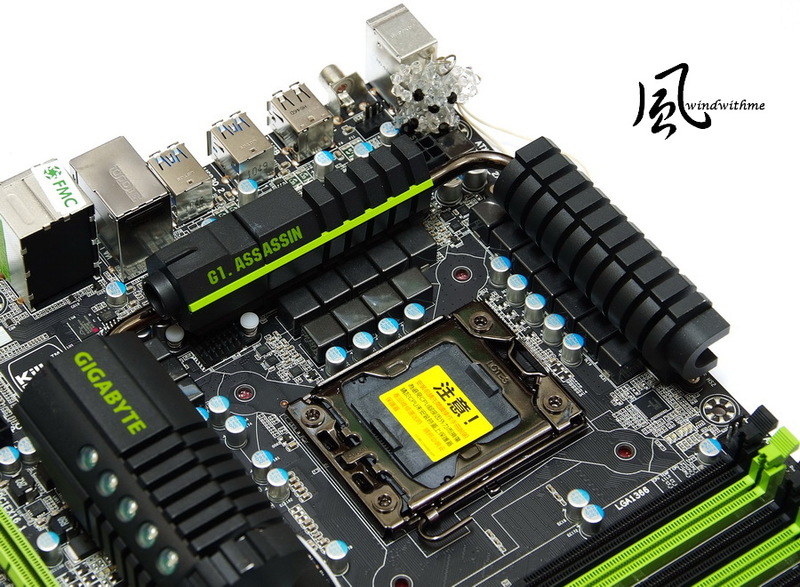 The 1st Core i7 chipset is X58 and CPU socket is LGA 1366 which position in extreme segment. 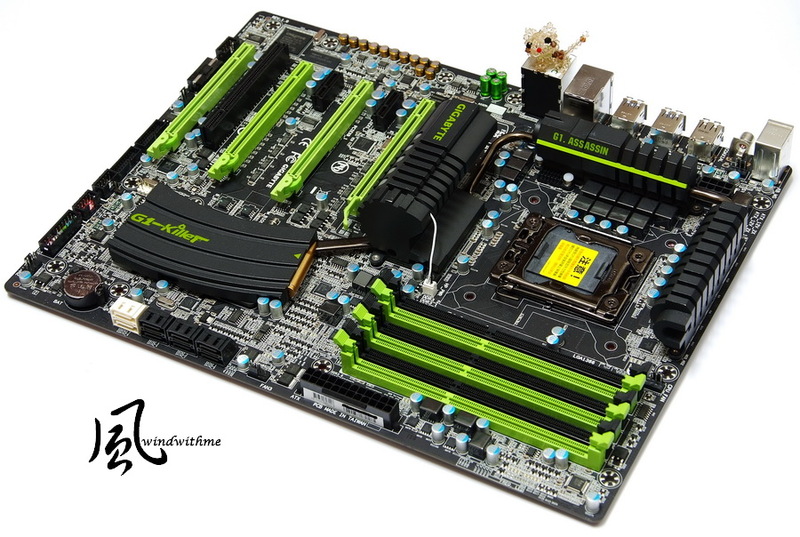 In mid 2009, Intel launched same structure with LGA 1156 socket which is mid to high end market. 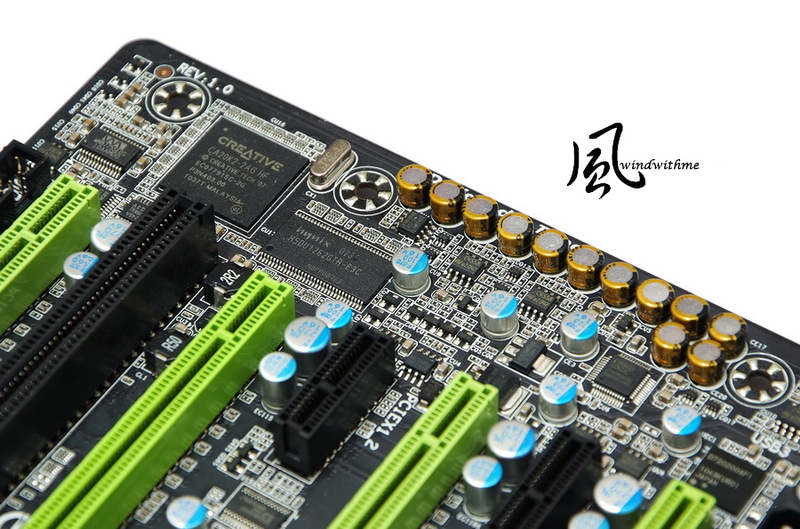 Early this year, the 2nd generation Core i structure, LGA 1155, launched and the position is overlap with LGA 1156. 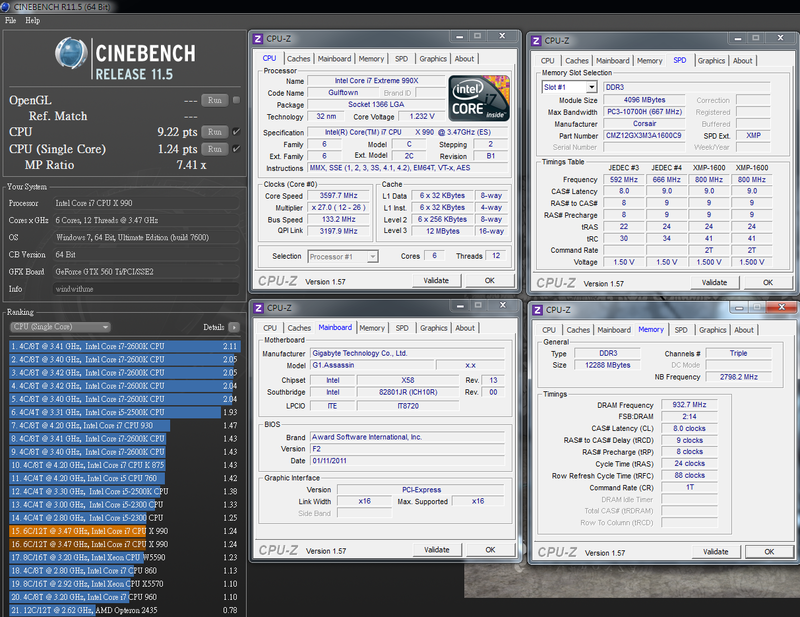 In the market, there are 3 platforms for Core i7 structure, but the most high-end is still X58. 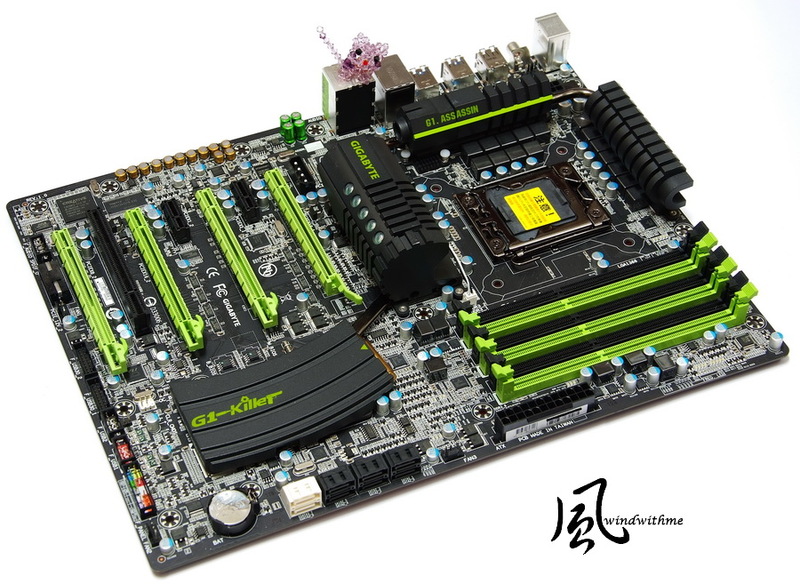 As per the internet news, LGA 1366 product line will be available till end of 2011, and the life cycle will be over 3 years. The existing time for the platform is catching up LGA 775. Even though this is late X58 products, if you use Intel latest Core i7-990X, it’s still the most top LGA 1366 platform. Of course the cost is also high end market level. G1.Assassin is the most high-end model of G1-Killer series. 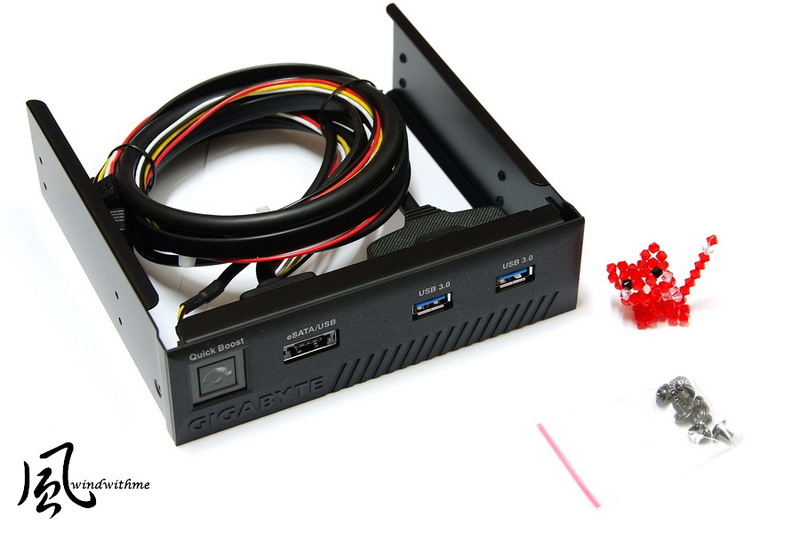 The form factor is XL-ATX, 34.5cm x 26.3cm. The XL-ATX Case is still rare in the market. The pantone is black and green. This is the first time for GIGABYTE MB. There are 5 Smart Fan headers. The users can control the chassis temperature more efficiently. 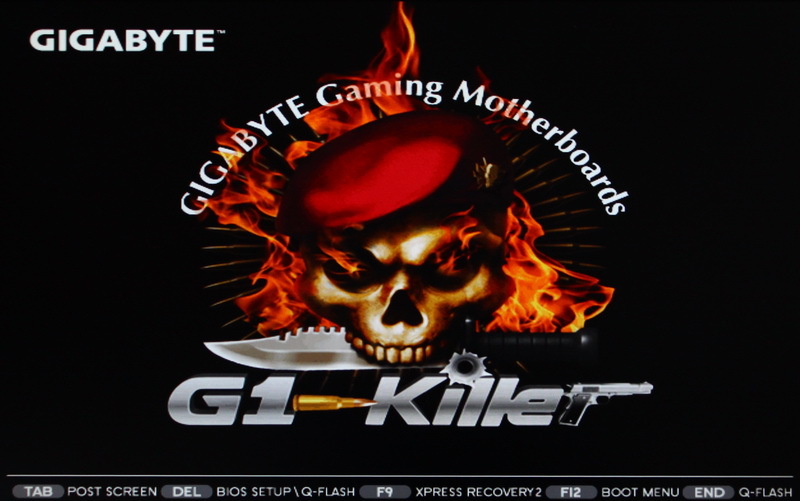 G1-Killer is also the first GIGABYTE Gaming series MB. In the past, many brands used to launch gaming series high end boards. 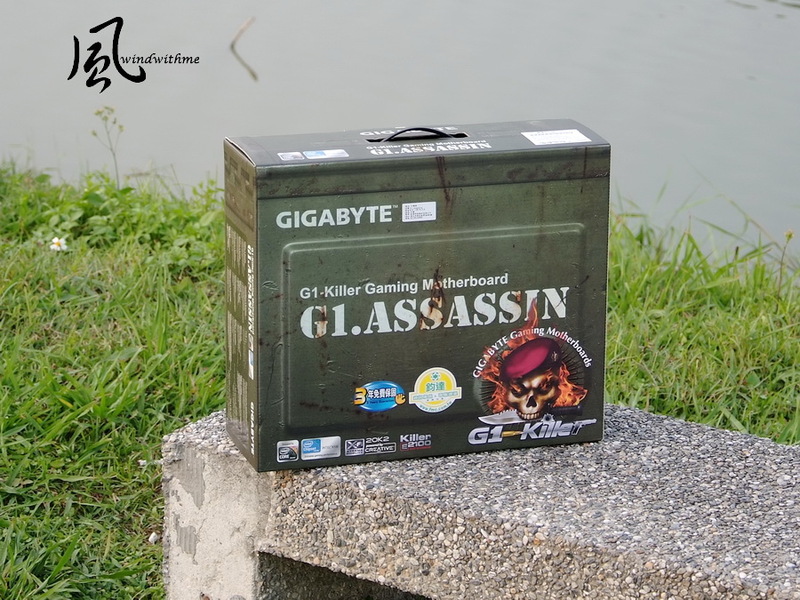 No matter components usage and features, G1.Assassin is really fit for Gaming. You will see the detail as following my further introduction. 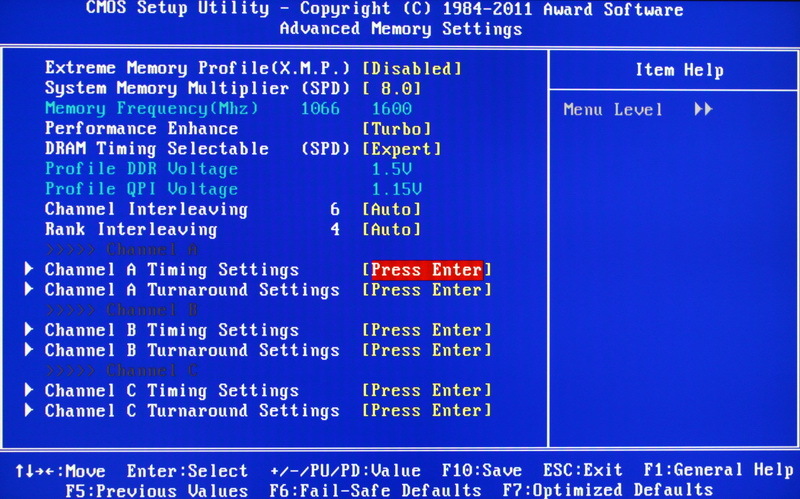 Left side Quick Boost button can switch user to OC mode to enhance the system performance. Creative CA20K2 Audio chip supports Dolby Digital Live, DTS Connect, X-Fi Xtreme Fidelity and EAX Advanced HD 5.0 technology. It supports up to 7.1 channel and High Definition Audio. 2 X 16 Mbit flash, Dual BIOS, dual protection. 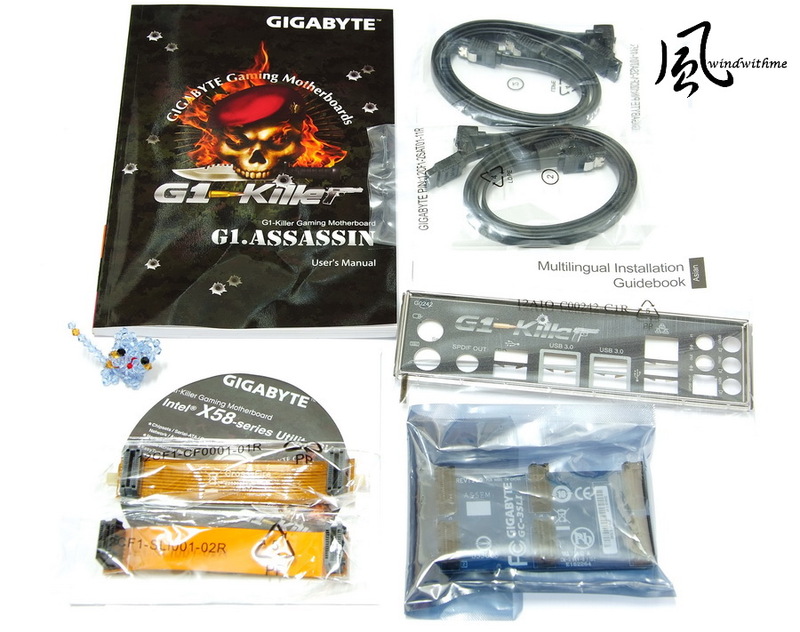 G1.Assassin uses 16 phases PWM and support dual 8 phases power switching mode. It needs GIGAYTE Dynamic Energy Saving (DES2) software to enable the dual power switching function. Built-in 128MB Memory cache for 20K2. In my impression, this design is for Creative high-end audio card only. Nichicon MUSE ES(green) and MW(yellow) Bi-Polarized audio capacitors. You can see the intention in audio design to get the best audio quality. This is the first time I saw such high end audio chip, capacitors and cache design in MB. I have very high expectation for the audio quality. Of course, this kind of design and other brands X-FI audio card quality must be made real comparison to see the difference. 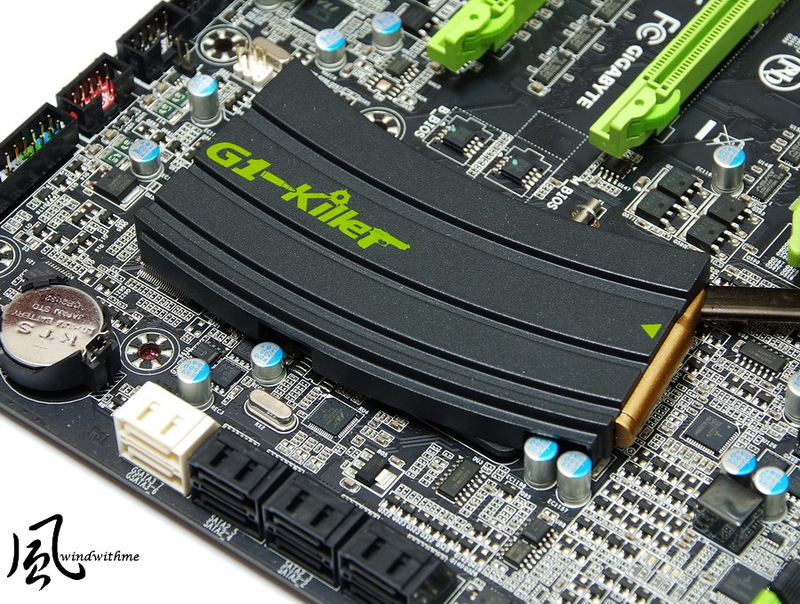 LAN Chip is one more G1-Killer important features. It uses Killer E2100 chip, also called NPU. 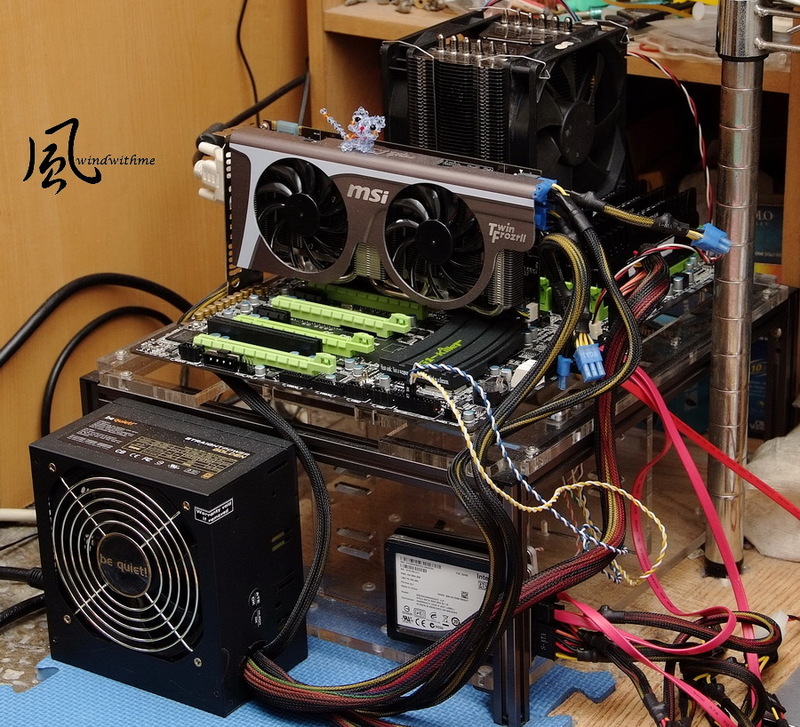 Besides the past CPU and GPU, now you also can see NPU. You can feel how fast the computer hardware technology improvement. It built-in 1GB DDR2 to process the network traffic control. It helps offload network traffic from the CPU. Another feature is Game Networking, DNA, technology. It offloads gaming data directly to the NPU to deliver tremendous speed benefits. The complete new design thermal module is based on bullet and cartridge, called Locked and Loaded Heatpipe Design . The Upper-Mid and Left are VRM heatpipe. Lower is X58 chipset heatsink and the 5 green LEDs are glowing after power on. This SB ICH10R heatsink is very special Visual effect. The outlook is copy cartridge with one copper bullet. It’s really eye catching. Also the big heatsink, this thermal solution is both for good looking and performance. 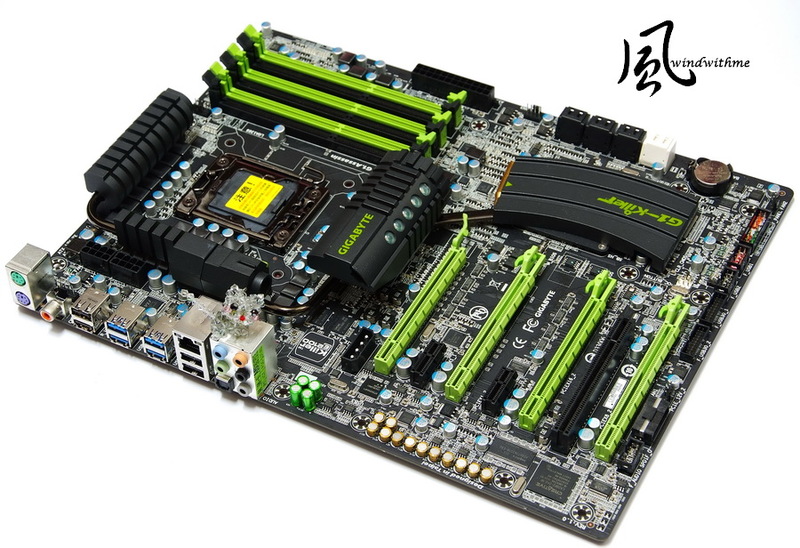 It displays BIOS version, CPU/DRAM clock, DDR3 capacity, CPU temperature and CPU/DRAM voltage info. 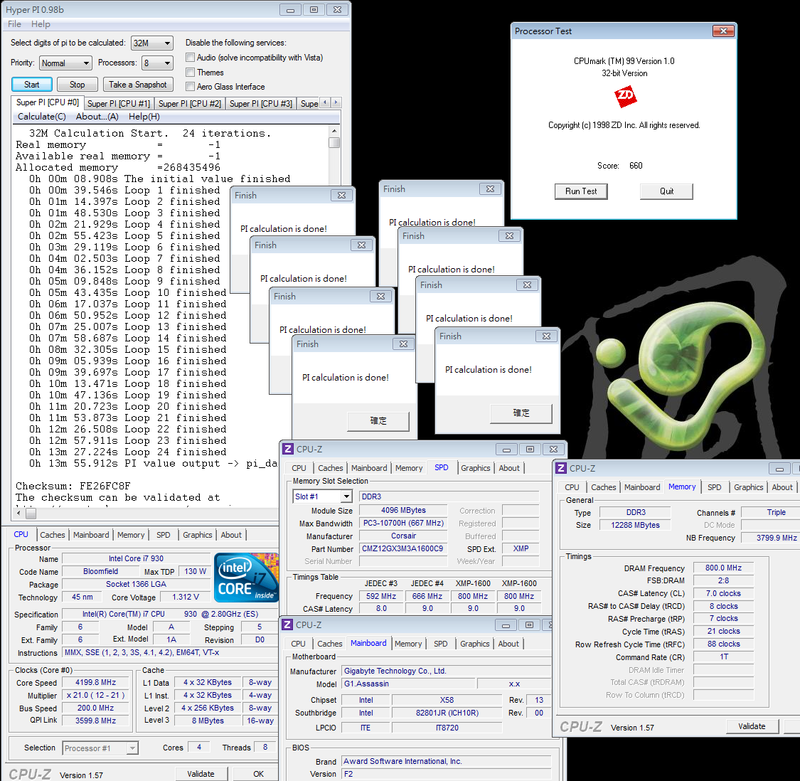 The pic is CPU 200Mhz/DDR3 1600 set up screen. 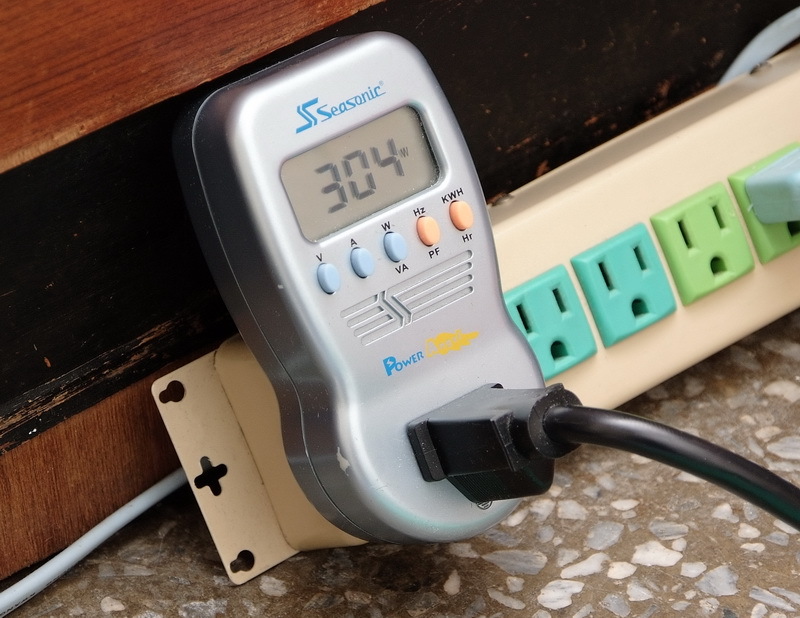 C1E is for power saving. 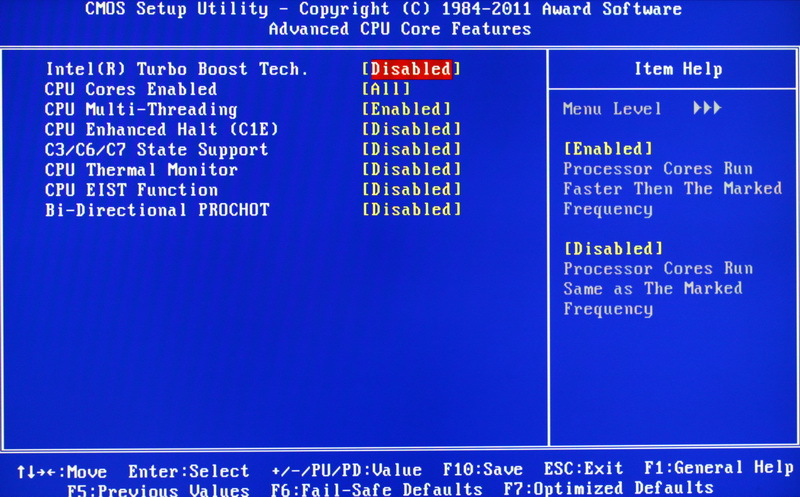 Intel Turbo Boost is contrary with C1E. The CPU can boost speed during high load mode. 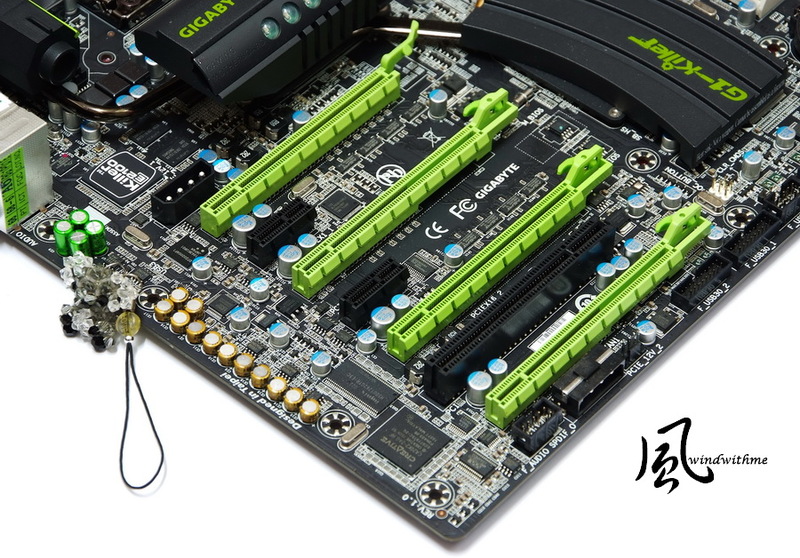 During OC, besides CPU and DDR3 quality, the voltage tuning is also very important. 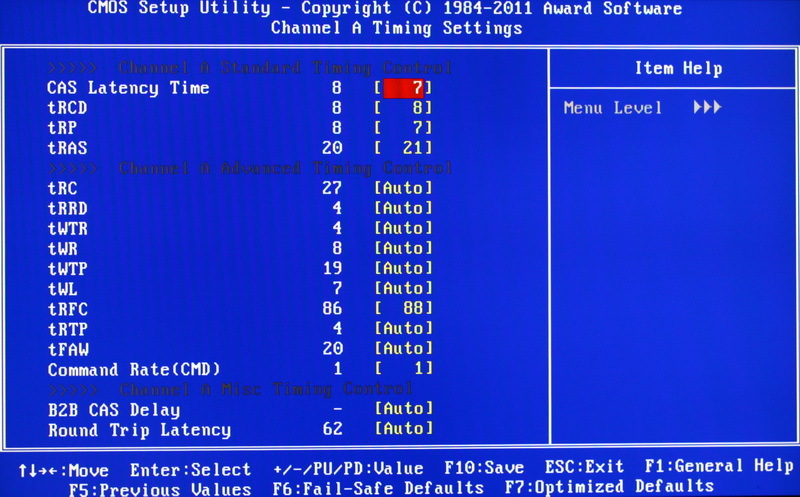 In above G1.Assassin setup screen, QPI/Vtt Voltage item is the key to pull high CPU clock. 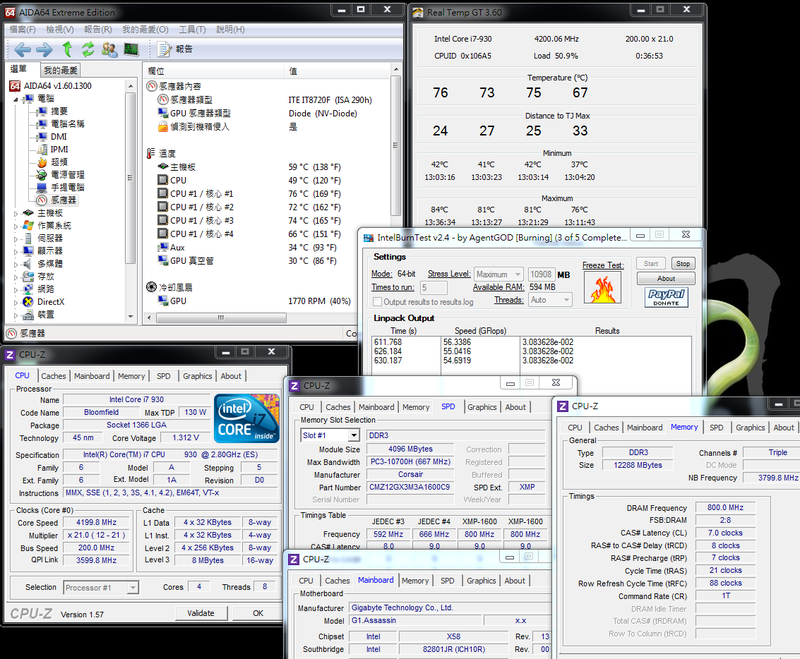 This i7-930 CPU quality is not bad, in 200/1600 ratio, I don’t need to adjust QPI/Vtt Voltage. 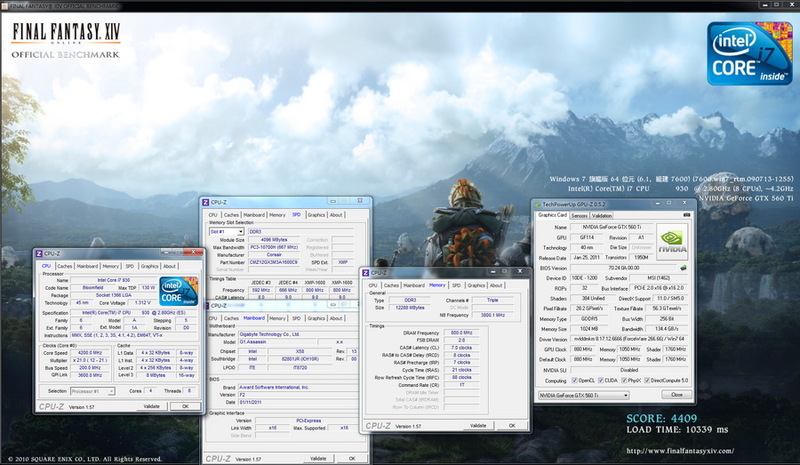 If you want to run stable at 200/2000 ratio, the proper voltage is the key factor to OC X58 chipset. 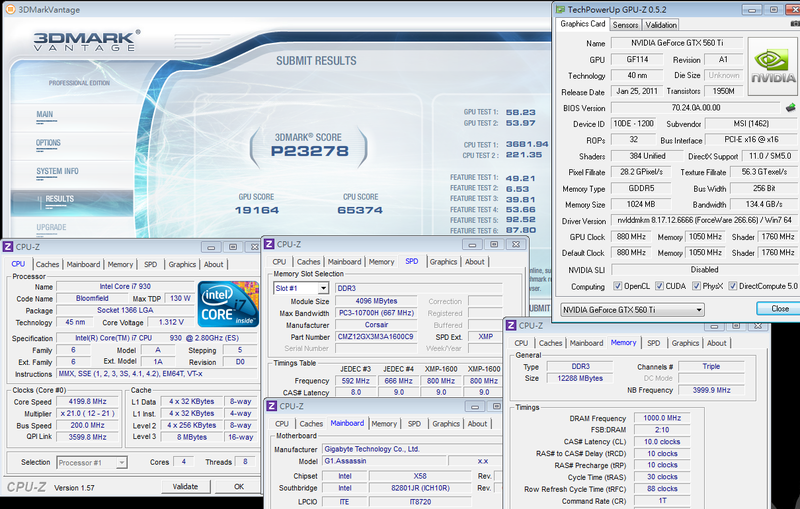 This Intel Core i7 930 is 45nm but the OC range is very good. I just need 1.325V to achieve 4.2GHz. 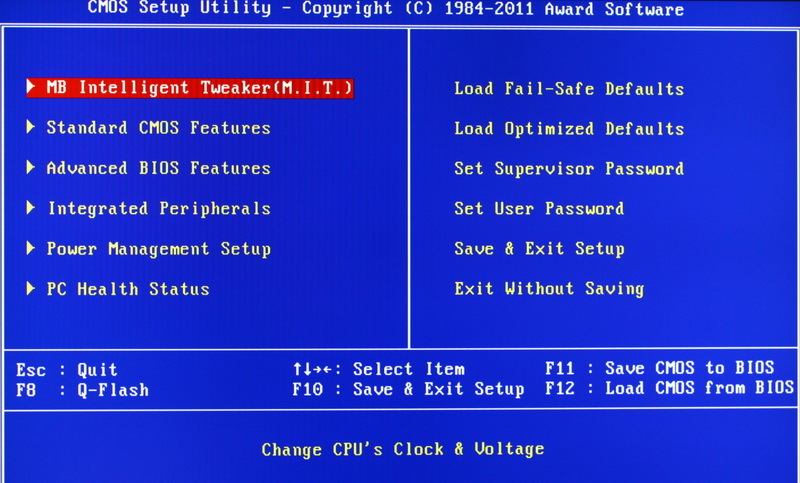 After that, I try to increase the CPU voltage and I can achieve 4.4GHz to run most software at around 1.4V. 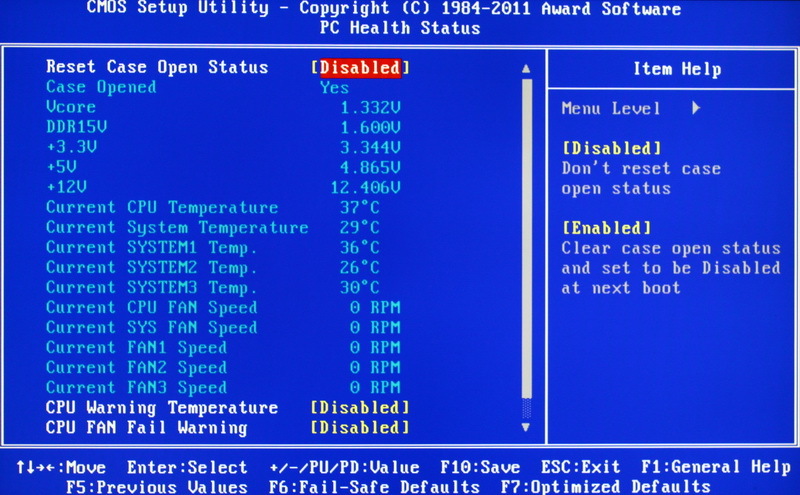 However, I cannot run all software stable, so I give up this setting. 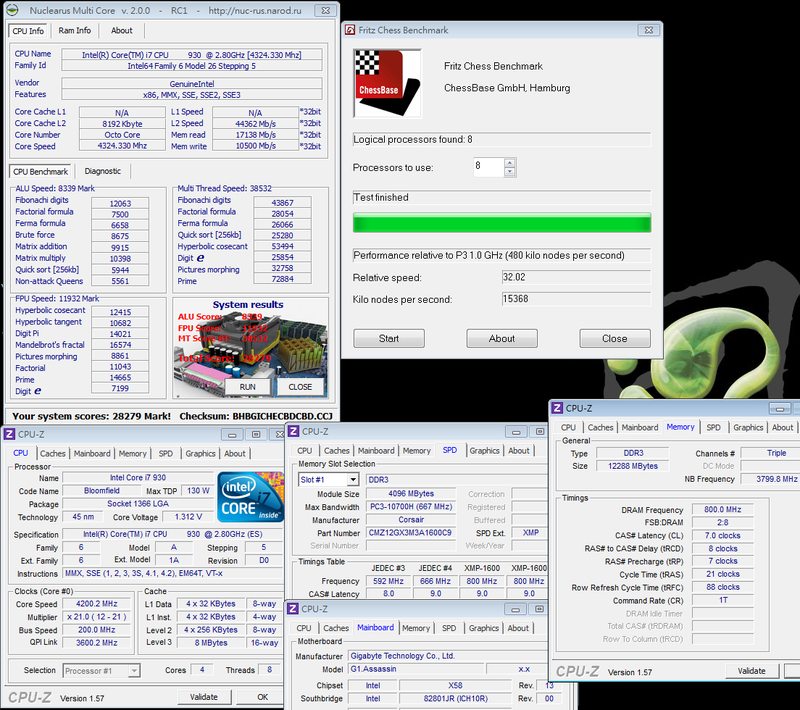 X58 platform OC performance is able to support most applications and conditions. Of course, for users, the speed demand is never enough. Faster and faster DeskTop PC performance is always the never changed goal for IT industry. 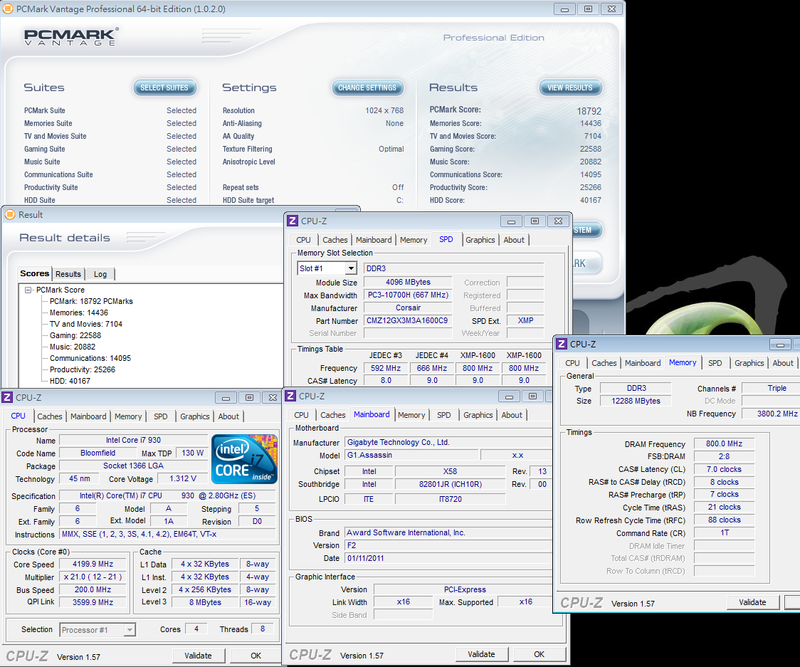 LGA 1366 is the only 3 channel platform. The DDR3 bandwidth is extremely high. 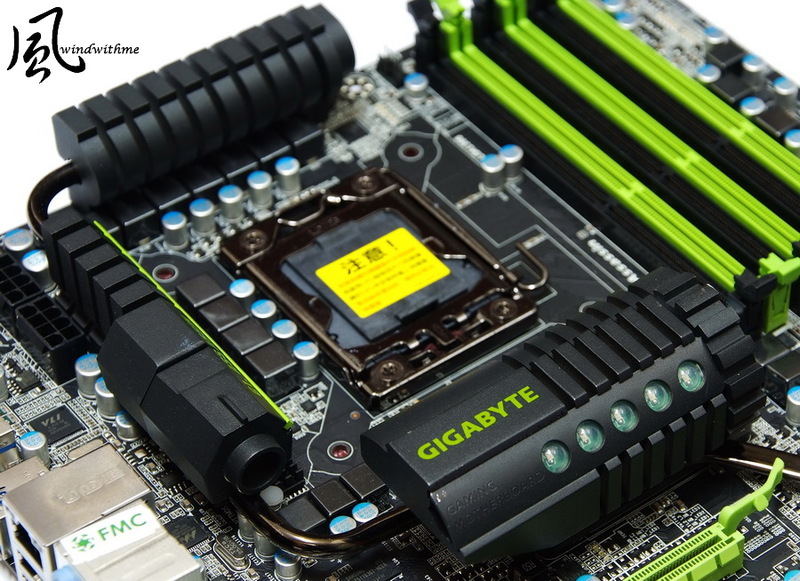 Even though the latest Sandy Bridge LGA 1155 platform optimizes the Memory Controller, these 2 platforms have each own advantages. 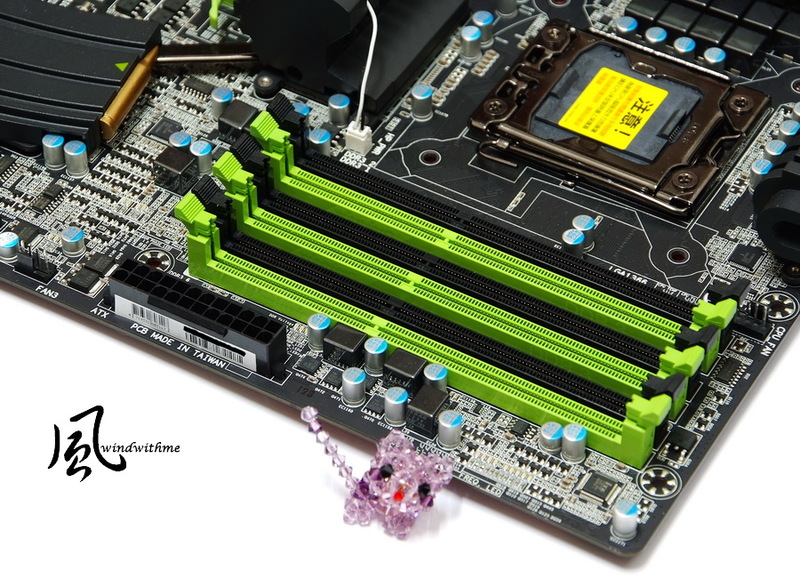 X58 DDR3 bandwidth is key features and DDR3 OC range is better. 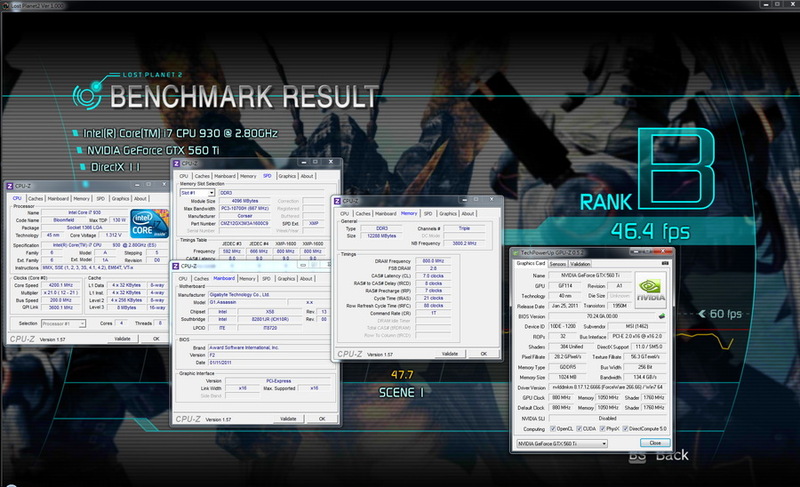 In this test, the CORSAIR VENGEANC DDR 1600 CL9 can OC to DDR3 2000 CL10. 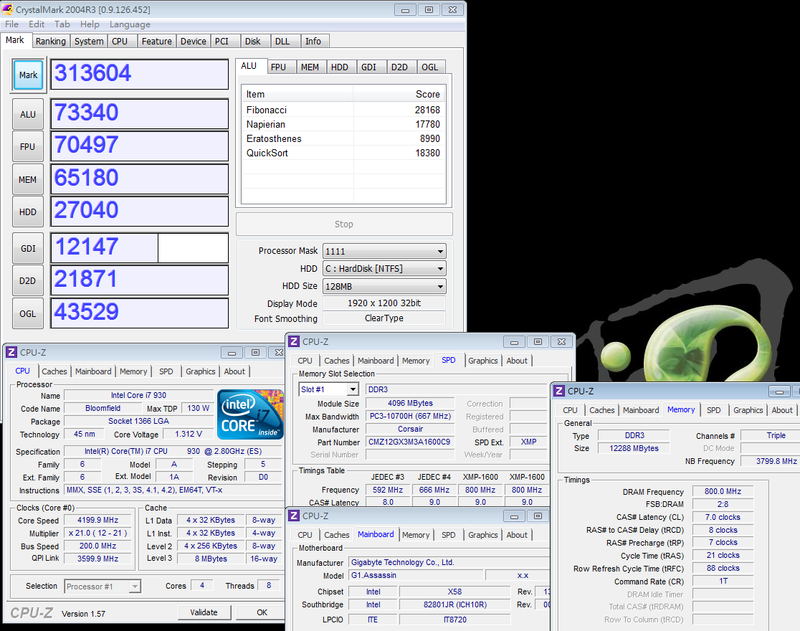 Even the CL is not as good as DDR3 1600, pulling to higher clock is still good for bandwidth performance. 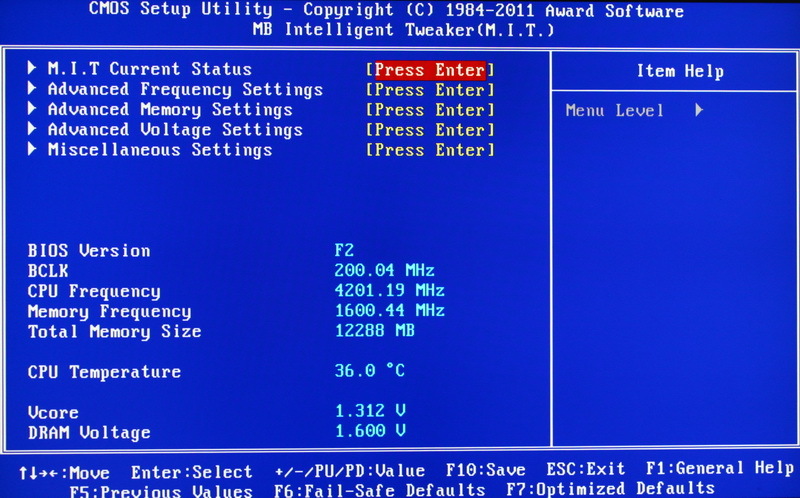 CPU OC voltage is low, so the temperature is lower as well. This is a good result. In full speed, the temperature is around 66~76. The VGA is nVIDIA latest mid-end GTX 560 Ti. After OC, the power consumption as entering to Desktop is still acceptable. 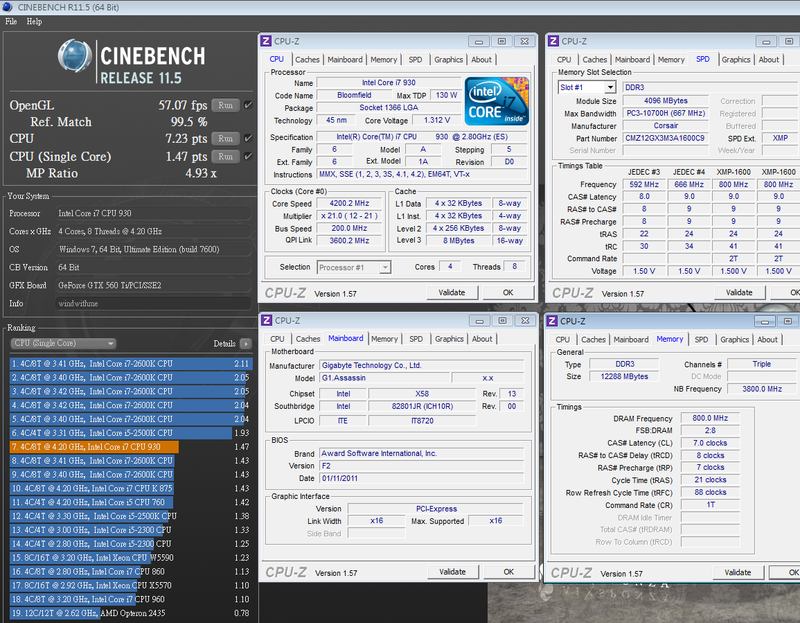 In 4.2GHz/4Cores full speed condition, it’s also just around 300W. 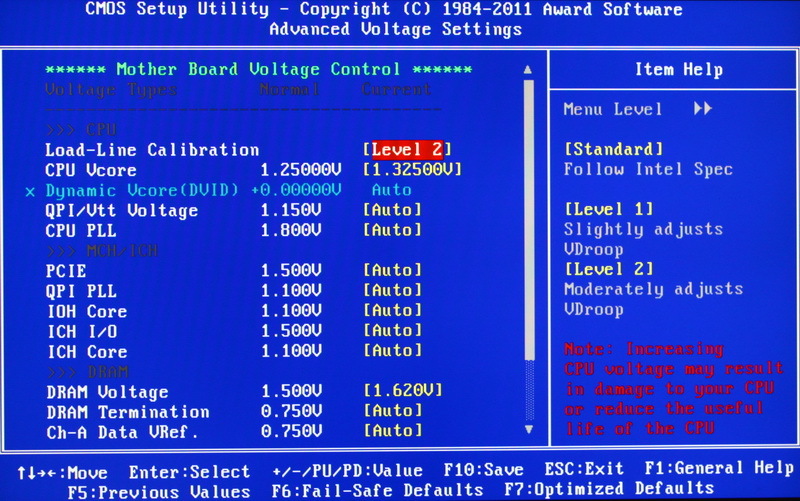 If you use OCCT to make CPU/VGA be full load, the total power consumption is going to 525W. Normally, the PC power consumption is directly proportional. I recommend 600W Power Supply for this system. 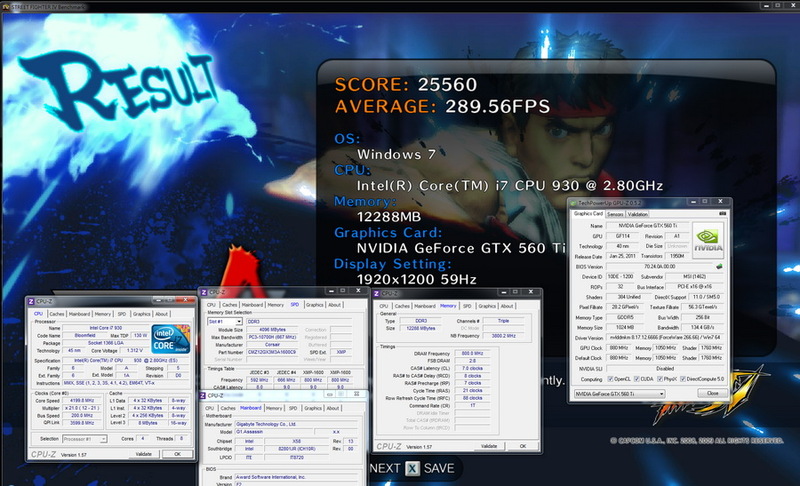 As the latest GTX560-Ti, the 3D performance is mid to high level. 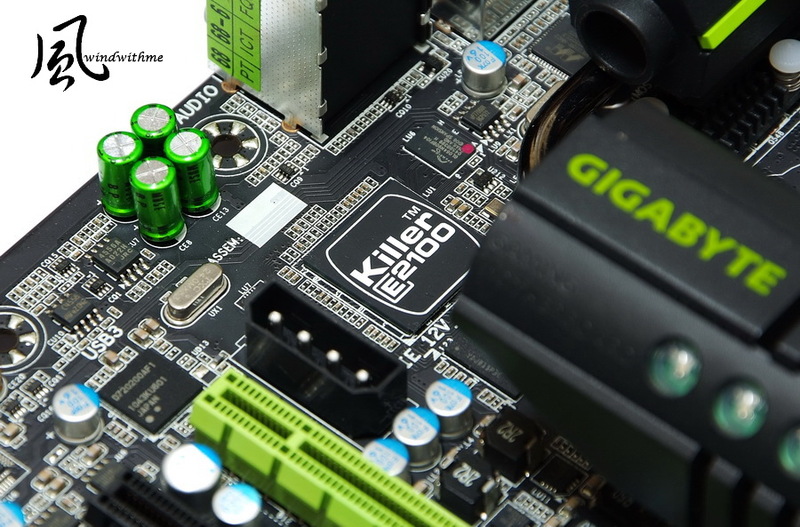 X58 the best advantage is the PCI-E bandwidth is much higher than P55/67 series. It’s good help for ATI CrossFireX/NVIDIA SLI performance. It’s also more suitable for positioning to Gaming MB. BTW, in previous review, I found nVIDIA performance drop issue at 1920X1200 resolution. The new nVIDIA driver has fixed this issue. 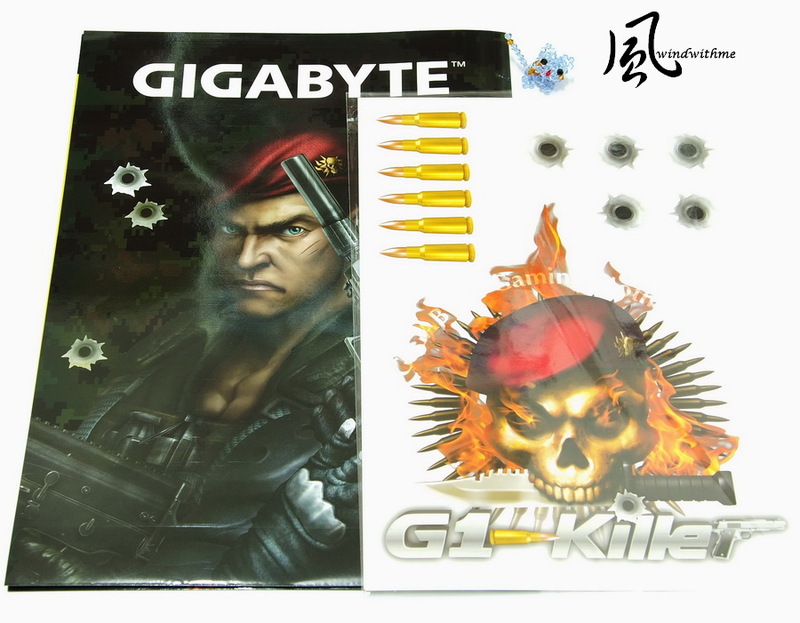 G1.Assassin is not only focus on audio chip and capacitors. It’s also considering the headset. It built-in Front Audio Headphone Amplifier and be able to drive 150Ω loads, allow Gaming users to enjoy the higher quality audio. 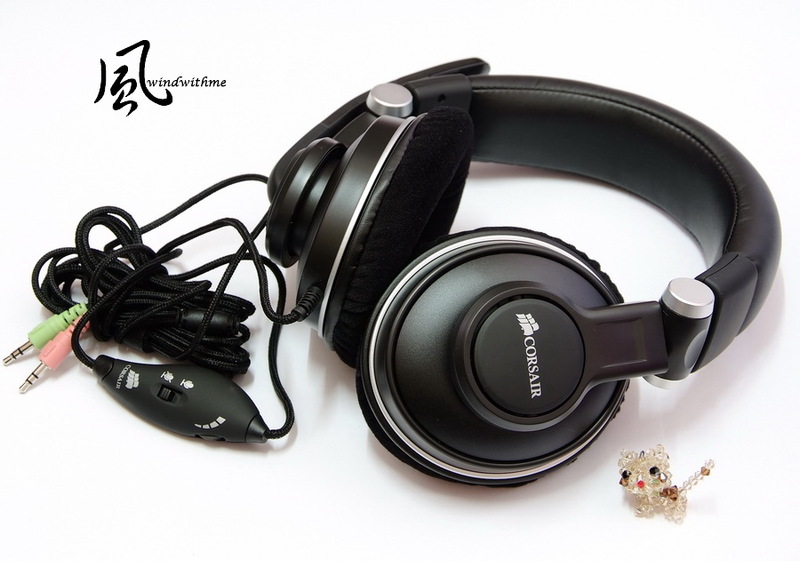 For real audio performance, I use CORSAIR HS1A Gaming Headset to test. First of all, you can see the packing. It’s official 2 years warranty. The extra-large diameter and deep-dish design help prevent them from touching your ears to avoid the uncomfortable issue. 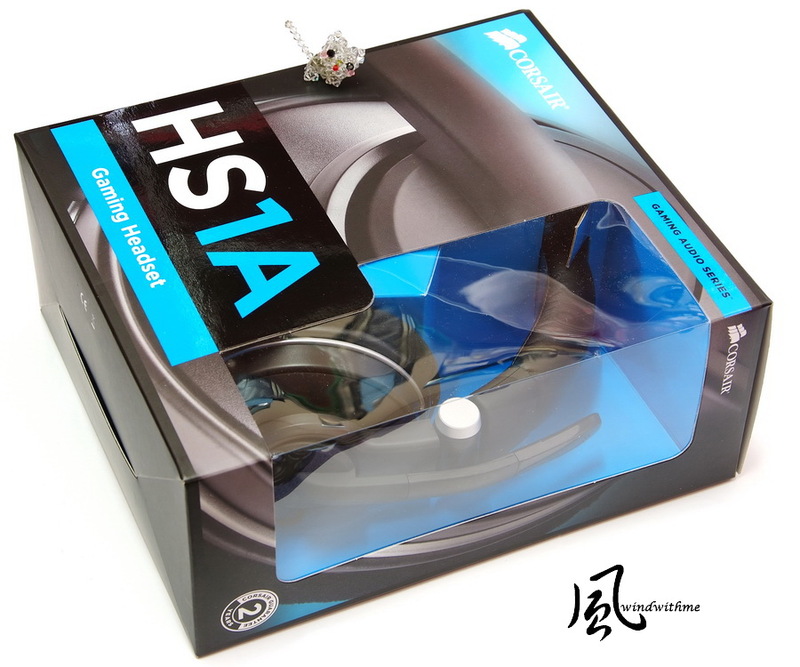 Overall, the headset components and quality are quite high level. If they can improve the wire, that will be perfect. It also provides microphone for users to chat with the others during playing game. The controller can adjust microphone switch and volume. 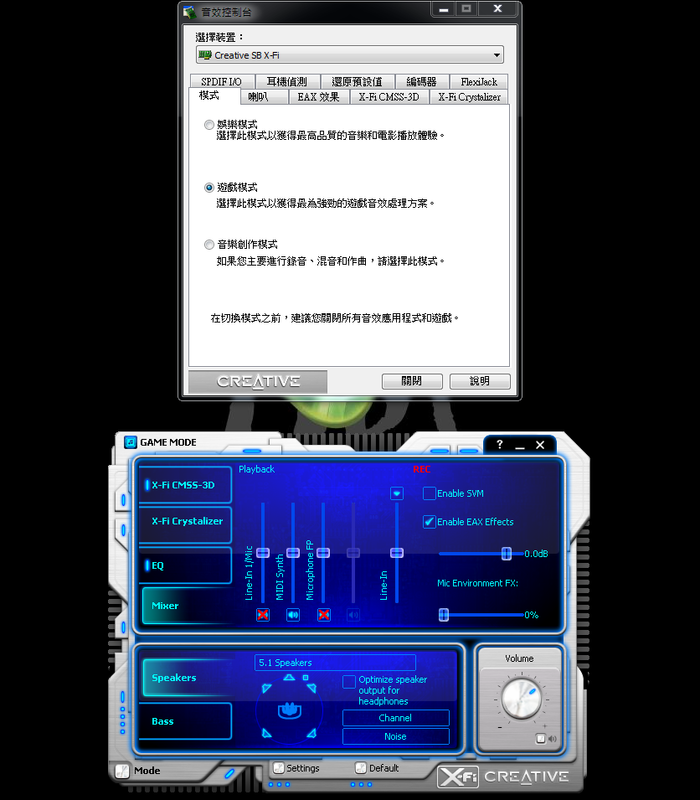 In OS, Creative application interface provides several language packs for users to choose. 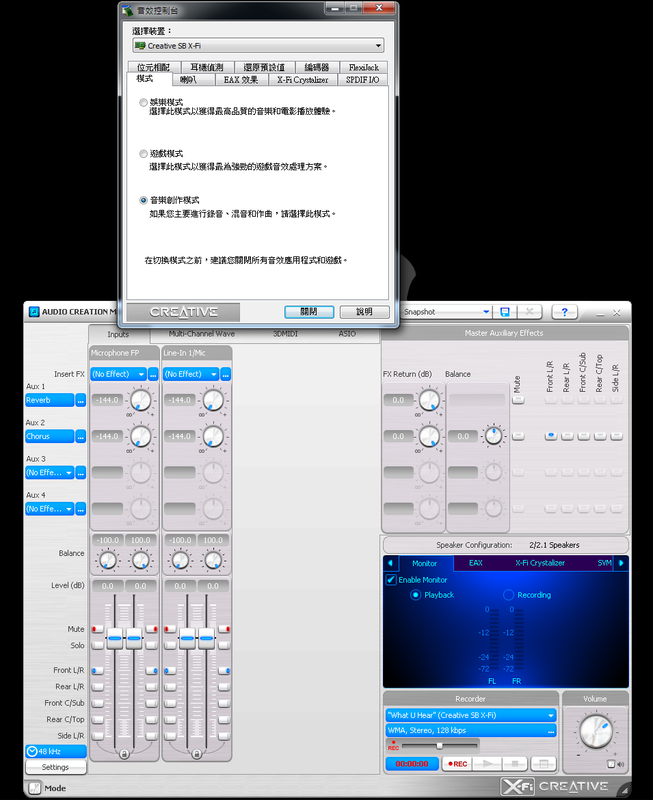 There are Entertainment, Game, Audio Creation modes. The Game mode panel and items as below. It includes rich fine tune items. Entertainment mode panel interface is easy to use. Items and features are easy to understand. Creative application features are very varity. In Audio Creation Mode, listening songs or music. The high frequency has no ear-piercing or uncomfortable tones. It’s good performance. In intermediate frequency, I can hear all clear sounds. However, it lacks of human sounds reality. This is the part X-FI chip needs to improve. 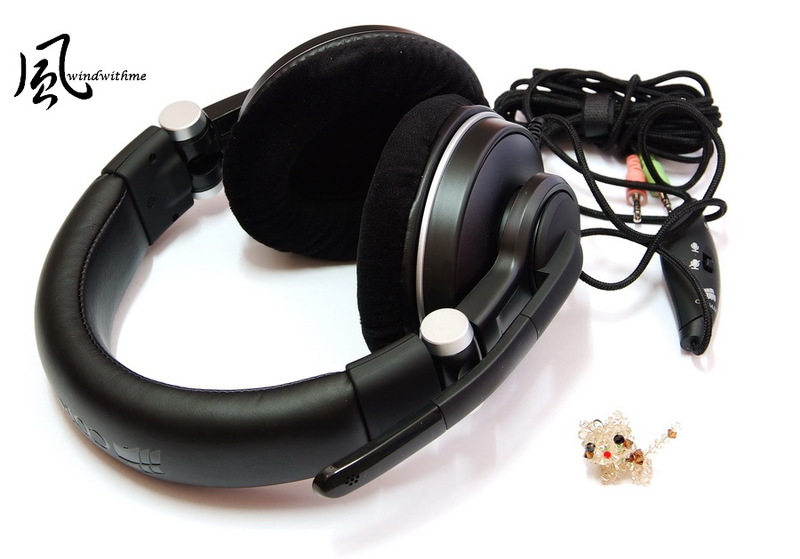 Low frequency is the key part of this headset and audio chip combination. The bass is very good. It’s really high standard. The overall performance is quite average. For the sound field, it can perform well. My most impressive part is the sound field is really surrounding. The sound sophistication and reality restore quality are mid high standard. However, it’s not X-FI strength. This is the emphasize part of X-FI. I use CORSAIR Gaming headset to listen all the sounds affect. The sound field is very good. No matter for bass or fighting scene, the sound is very shock. As this combination, it’s very high C/P for Gamers. It’s for your reference only. 6C/12T has very high benchmark in default mode. In the future, I will find a chance to share you the detail 990X performance and OC share. 1. G1.Assassin is most high end model of G1-Killer series. The packing and components are top level. 2. Built-in Creative CA20K2 audio chip, Japanese made high end capacitors and 128MB Memory cache. 4. Support both 4WAY ATI CFX and 3WAY NVIDIA SLI technology. It meet Gaming demand. 6. 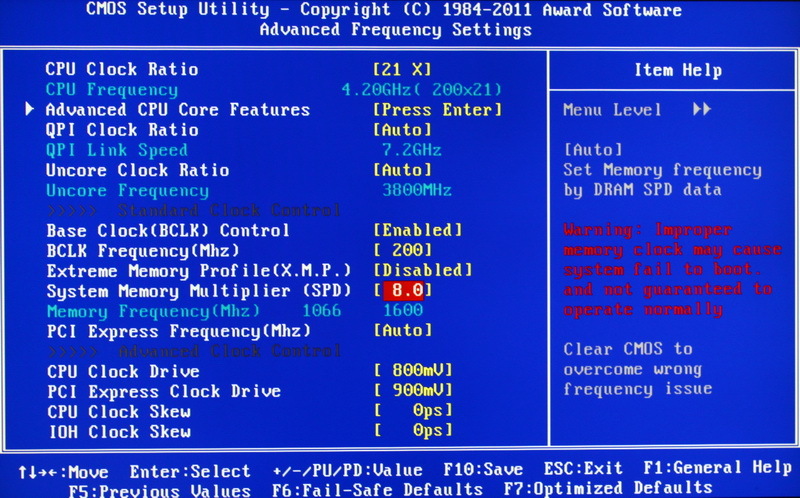 Rich BIOS items and high voltage range. 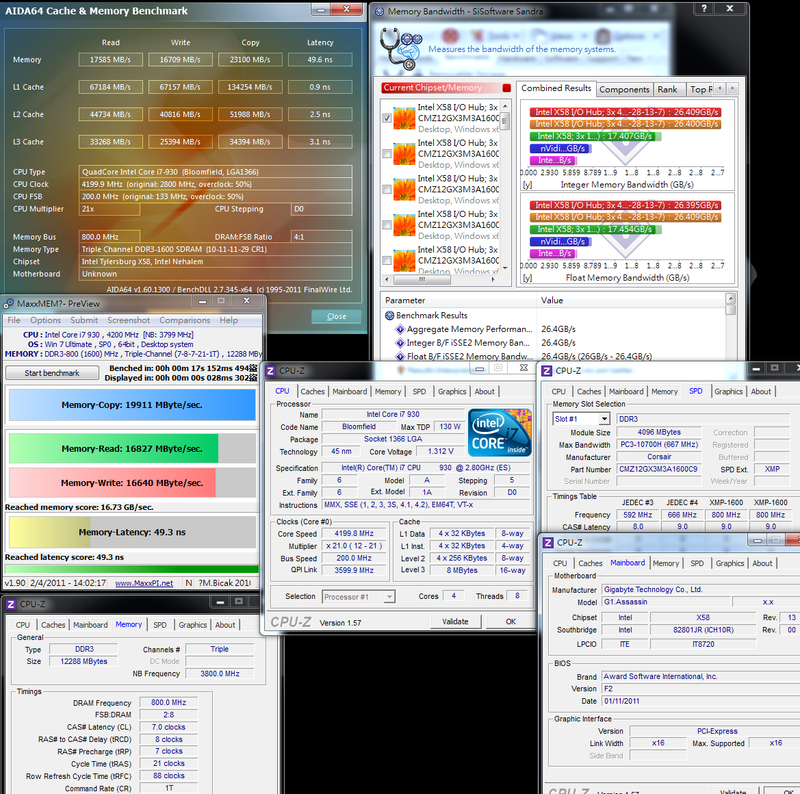 CPU/DDR3 ability is excellent. 7. Very special military style thermal module design. The quality and visual affect are very good. 2. XL-ATX Case is rare. 3. 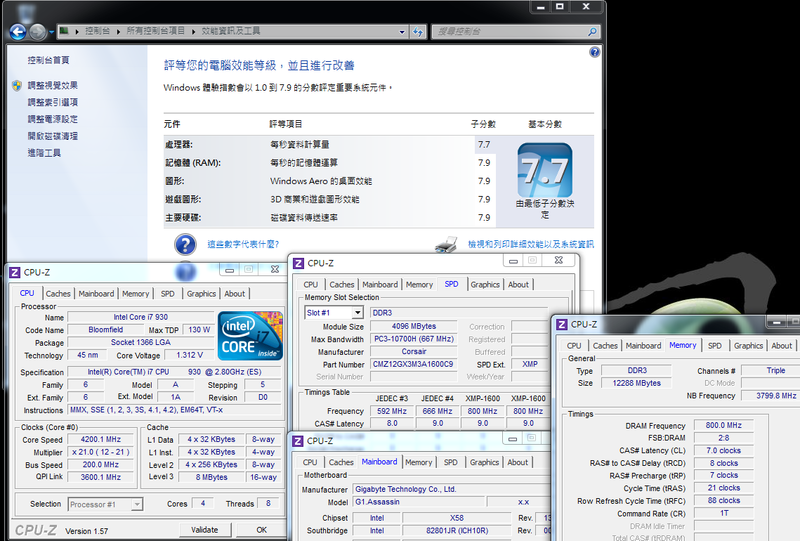 X58 chipset power consumption is higher than other P series platform. G1.Assassin is the top model of G1-Killer series. The components and features are most complete. Of course the price is for high end market. The market price is around 15700NTD, 543USD. Comparing to G1-Kille entry G1.Guerrilla, the price is 10700, around 370USD. However, G1.Guerrilla has no X-FI audio chip and other spec is lower. 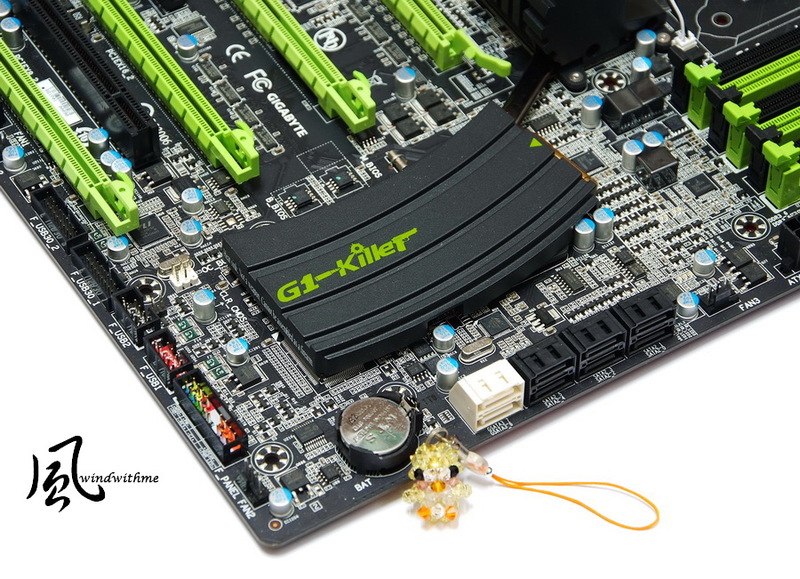 If you compare G1.Assassin with others top Gaming X58, G1-Killer price has no advantage. The key strength is new audio and network design. Especially the audio performance is almost the best MB built-in audio currently. I also test other brand X-FI audio card, duo to the chipset and components, the real sound field and audio affect is behind G1.Assassin. G1-Killer Series is right position in Game filed.